The waiting period for the Tata Harrier currently stands at 3 months. With such aggressive pricing, expect it to increase furthermore in the coming days. Tata Motors has hit the ball out of the park with the aggressive pricing of the Harrier. With the base variant starting at INR 12.69 lakh and the top-end trim going for INR 16.25 lakh, they have placed this SUV right in the middle of the pack with its competitors. Talking about competitors, the Harrier competes with the diesel manual variants of the Hyundai Creta, Mahindra XUV300 and 4×2 variants of the Jeep Compass. A report published in Autocar India states that the total number of bookings for the Harrier, which began during the month of October last year, stood at approximately 16,000 by the month of December 2018. And right from the time of launch, this SUV is commanding a waiting period which stands at 3 months. Aggressive pricing is further going to increase the waiting period. The Tata Harrier currently is available with just one engine options i.e. a 2.0-litre, 4-cylinder diesel motor sourced from Fiat. This is the same unit which performs its duties on the Jeep Compass. That said, for the Harrier, Tata Motors have decreased the power output from 170 BHP to 140 BHP. However, the torque figures remain the same as 350 Nm. The Harrier, for the time being, is not available with an automatic gearbox. As standard, all the four-trim levels of this SUV are going to go on sale with a 6-speed manual gearbox. A 7-speed automatic gearbox, sourced from Hyundai will soon join the ranks of this SUV at a later stage. Also, the Harrier is essentially a 5-seater SUV. 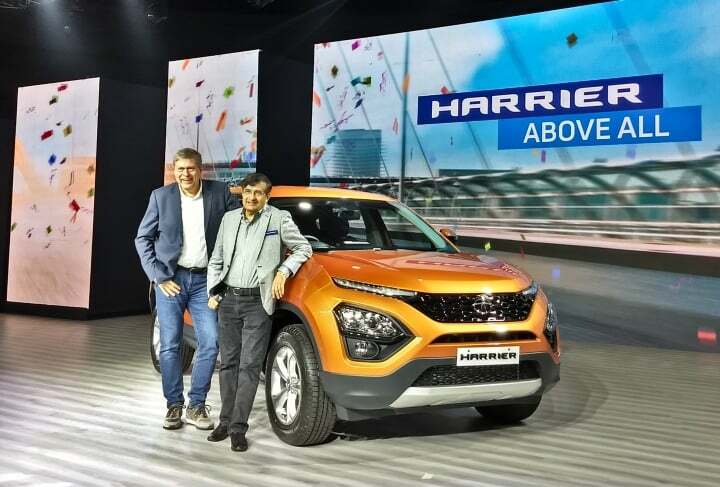 However, Tata Motors has confirmed that they are going to introduce a 7-seater version of the Harrier in the near future, In-fact, there have been speculations that but the launch of the same as early as the second half of 2019.